Bloodblitz, also known as Bloodblitz Football or simply Blitzball, once a rough peasant sport of unknown origins, today is still a brutal, but complex game, that has seen a vast spread in popularity in only a few decades. 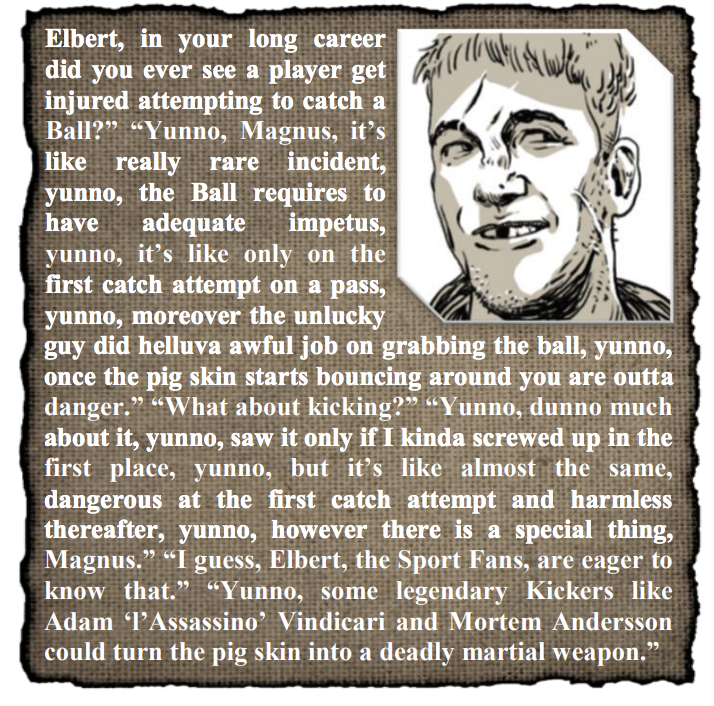 Bloodblitz is played by two lineups of eleven players, also known as Blitzballers or simply Ballers, who compete to place an inflated pig’s stomach past a post to score points. Save from a universal ‘no-weapons allowed’ rule, Blitzballers otherwise have free reign to undertake any physical action against members of the opposing team in order to enhance their own team’s chance to score points or decrease the opposing team’s chance to do this instead. While in the past only a few well-to-do merchants occasionally found themselves sponsoring Bloodblitz, forming teams to settle perceived as well as material scores between rivals, a whole new branch of economy evolved around the sport of Bloodblitz. 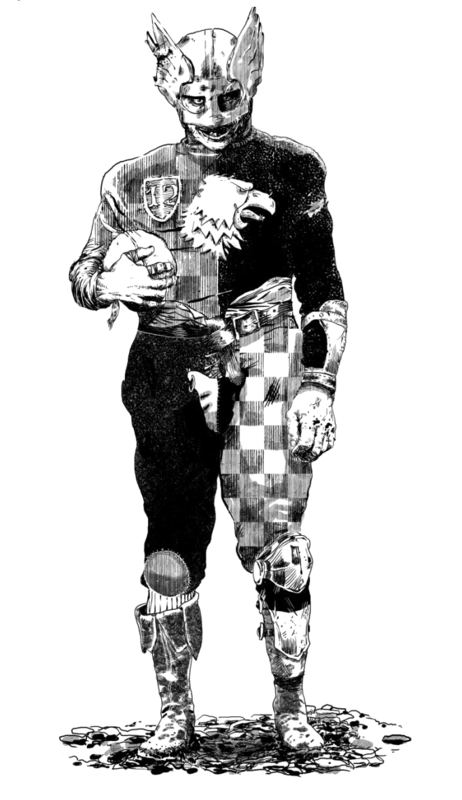 This 48-page supplement adds new Professions, trappings, actions in combat and a plethora of plays and other additions to bring fantasy gridiron football to your #ZweihanderRPG game. BALLERS 2 is available now in the community-driven Grim & Perilous Library, only at DriveThruRPG!